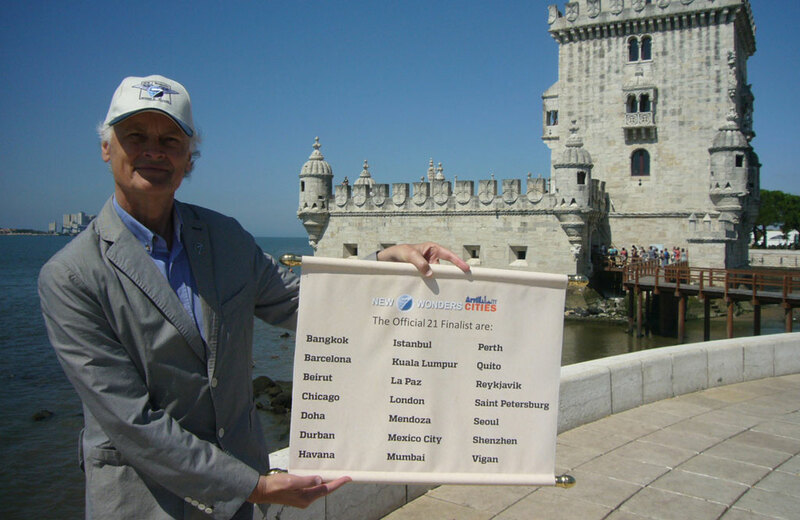 Bernard Weber, Founder-President of New7Wonders, revealing the 21 qualifying cities at the Torre de Belem in Lisbon, Portugal, the city where the first-ever New7Wonders campaign declaration event took place on 07/07/07. Lisbon, Portugal: Announcing the 21 Official Finalists that have been voted through to the next round of the New7Wonders Cities campaign, Bernard Weber, Founder-President of New7Wonders, said the diversity of the remaining cities in contention for the “canon of 7” is “remarkable in terms of regional geography and urban culture.” He commended all involved in the individual city campaigns, praised the voters for contributing to the success of the New7Wonders Cities initiative and challenged thought leaders to debate the future of our rapidly urbanizing world. Today’s announcement in Lisbon, the capital of Portugal, coincides with the 7th anniversary of the Official Declaration of the man-made New7Wonders of the World — the first global vote from New7Wonders — which took place on 7/7/07. 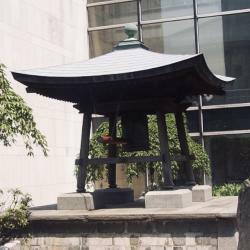 Lisbon was the host site for the 2007 Declaration, and this linking of past with present involving the number 7, which is central to the concept of Global Memory, highlights the commitment of New7Wonders to its history and precepts. As with all New7Wonders campaigns, voting is via new7wonders.com, via the iPhone and Android apps, via the international telephone voting lines, and, where available, via national SMS. 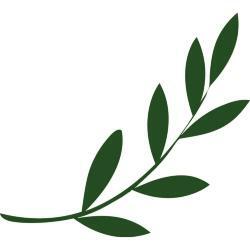 The New7Wonders Cities campaign now enters its penultimate voting stage, which will run until 7 October, when the list of 21 will be reduced to 14. The 7 Official New7Wonders Cities will be revealed on 7 December 2014.